"In Greek mythology, Calliope was the muse of epic poetry, daughter of Zeus and Mnemosyne, and is now best known asHomer's muse, the inspiration for the Odyssey and the Iliad." 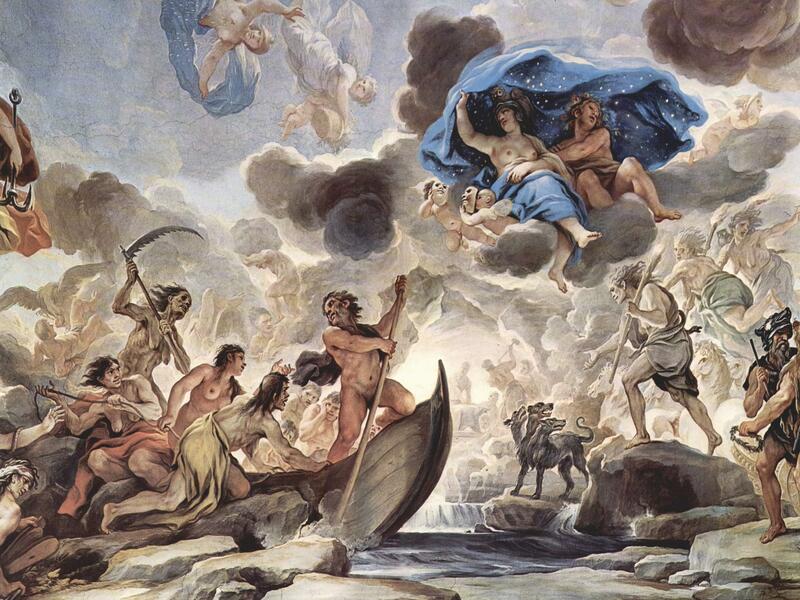 "This site is devoted to the heroes, gods and monsters of Greek mythology." with "interactive activities, games, and goodies such as Ecards and screensavers. Produced by the Australian Broadcasting Corporation in association with The University of Melbourne's Centre for Classics and Archaeology. "I'll describe myself as a mythic creature, and you supply what it is." "Before the creation of humanity, the Greek gods won a great battle against a race of giants called the Titans. Most Titans were destroyed or driven to the eternal hell of Tartarus. But the Titan Prometheus, whose name means foresight, persuaded his brother Epimetheus to fight with him on the side of the Gods. Iseult Gillespie shares the myth of Prometheus." "with online games, a song, a story, and also worksheets and flashcards for you to print." - The Life of Ulysses..."
"In this cartoon from The Observer, Chris Riddell suggests that Greece is the EU's Achilles' heel..."
"The Greeks had a story for everything. You've heard "Pandora's box" all your life as a term for opening up something you shouldn't because you don't know what's in there. The original story is a cautionary tale about curiosity and temptation. Pandora gets the blame for all the evils of the world, yet it was Zeus who set her up to take the fall. This TED-Ed lesson from Iseult Gillespie has the story." "In Greek mythology, King Midas is known as a rogue ruler whose antics bemused his people and irritated the Gods. Many know the classic story of Midas's golden touch, but the foolish king was also known for his unusual pair of ears. Iseult Gillespie shares the myth of King Midas."